I took a break from blogging. Some of the time I spent thinking, some of the time I spent doing memorable important stuff, some of the time I spent playing Pathwords on Facebook. I almost told the short version of this story, but I couldn't do it like that. I just couldn't. My parents divorced when I was teeny. My dad moved back to his home in NYC, and my mom and I moved in with my grandparents. We lived with them until I was eight. The six years I lived in their house were happy and dreamy and full of love. That might sound cheesy and cliche, but what other words am I left with to describe my home there, with them? Here. I'll show you. 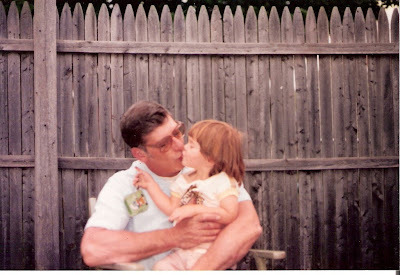 Me and Papa. Like my haircut? As the only child in a family that included my 20-something mommy, Papa, Grandma, and my two Uncles, I was pretty much the center of attention, um, all the time. But it didn't spoil me. Really. It was formative. It was healthy. It was exactly what I needed. It was God's plan for me. It was such a gift. I could probably write a book about growing up in that house, but I'll get to the point. 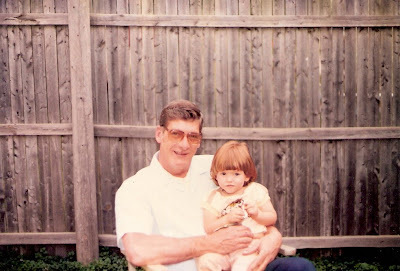 Every single day, I spent time dancing and singing while Papa played the piano or the organ. He was AMAZING. Truly amazing. He taught me every old classic standard there is, and he played them all by ear. It was both a job and a hobby for him. It's what he did to relax. It was as much a part of his day as eating or breathing. It was just his thing. 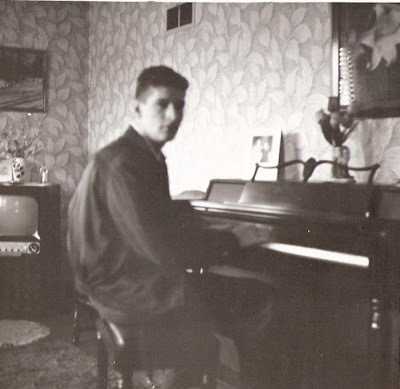 Papa playing piano as a teenager. This is not the story I want to be telling you, but Papa is sick. Really really sick. He can't play the piano anymore. He can't walk. He can't even feed himself. He's only 73. When I think about him, my heart breaks. I don't want it to be true. It's hard to even type these words. At our Easter brunch a man was playing the piano to entertain the crowd. All old classic standards. All by ear. At first I wanted to sing along. Then I was mildly annoyed by a sick feeling in my stomach. Then I started sobbing, right there in the Riviera Club and couldn't stop. We went home. I took the kids up to visit Grandma and Papa last week. They still live in the same house. Every time I leave, I wish I could take it with me. When I was 11, we moved to Indianapolis. We would visit on weekends, and when it was time to drive the 2.5 hours back to our new house, I would always steal something from my grandparents on my way out. It makes me laugh a little now to imagine my grandma looking everywhere for a coaster or a trinket, wondering where it possibly could have gone. I would take these stolen items out later, in secret, and feel for just a tiny fleeting second like I was back there in that safe and happy house, and not in a new school in a new town with a bunch of people I didn't know. I don't have to steal stuff anymore. Now my grandma just gives it to me. This trip, my grandma sent me off with a little painted table. It was in my mom's room when she was a little girl, and it was in my grandma's room when she was a little girl. Before that, it had belonged to grandma's big sister Vivian (Alice is named Alice Vivian after Great Aunt Div). It is old old old. I told Luke all about this little table, all dreamy and sentimental like. Then I asked him to go get it out of the car. When he came back in he yelled in an urgent voice, "ERIN you are going to be FURIOUS! Someone stole your grandma's table out of the back of the car... and replaced it with (pointing) this piece of crap!" My heart sank for a moment before I looked over and realized he was just joking and was actually pointing at my grandma's table. I am secretly so glad I have Luke's mean jokes to cheer me up and keep me from falling into a cheese-fest sentimental coma. I am so sorry. I lost my grandpa this month. He was 73 too. Thank you Erin. This was beautiful. I always love hearing about your childhood in that house, it is inspirational. Also, you and Luke are such a good team. Hugs to you! This post is a beautiful tribute to your Grandparents. What a blessing y'all have been to one another. 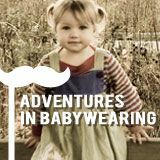 I'm getting all teary eyed just reading it and realizing how similar a situation it is to Levi's. Thank you for sharing it. Although my heart hurts for you, it also rejoices for you and the blessings of such a beautiful childhood. Your comment about not being spoiled by it really struck me. So many people think Levi is going to be spoiled because of living right next to his grandparents, but I just don't think it's possible to be spoiled by love. Stuff? Yes. But, love? Not at all. You and your grandparents are in my prayers. what a beautiful post, I am sorry your Papa isn't well! Oh my gosh- you had me in tears. And then busting out laughing! what a sad sentimental post. thank you for sharing. I hope it helps you cope. I'd love to see pics of the table. This really was beautiful. I'm so sorry about your papa. Thanks for not just telling us the short version of that. And thanks to Luke for making me laugh so hard I cried at the end. You guys really are good for each other. Thank you, Erin. Grandparents are wonderful, and watching them age is heartbreaking. I cried for and with you during the part about leaving brunch. I love and can totally relate to the story about the table. Hilarious and poignant. I have grandparents very similar to yours, I think. I was the first grandchild and an only child. I have lived with my grandparents at times. To this day, every time I leave their house... I want to take it with me. I relate to the feeling so well. My grandparents are 83. Some days I still want to live with them. Oh Erin, I am so sorry your Papa is ill. I lived in a similar situation after my mom got divorced (she later got remarried) I treasure those times with my nana and grandpa. What fabulous memories you have and great pictures too. You were a little cutie. I agree children are not spoiled by love. I lost my grand parents when I was in middle school so it was very long ago. And I still crie when I think of them. I cried with you about your papa not being able to play anymore. I will pray for you and your family as you go through this heartache. I really enjoyed this post .. i lost my grandpa (75) on February 27th and my grandma (68) 3 years prior to that. It is still incredibly difficult to deal with .. one of my main goals in life was to always do right my them and make them proud .. and now I feel like that is all gone .. I mean, I still have the rest of my family .. but it is just not the same ..